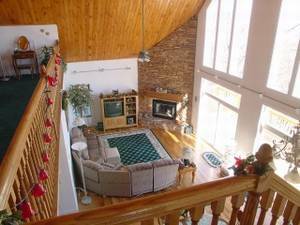 Spacious executive 4 bedroom plus loft, 4 bath home with a beautiful view of the mountains. 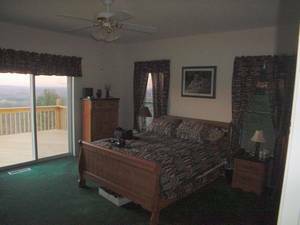 Located just outside of Helen, GA on 2 nearly secluded wooded acres. 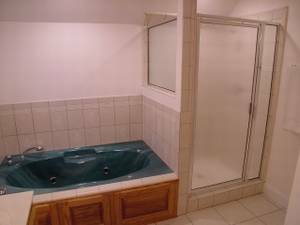 Luxurious tri-level home has 3 master bedrooms, 2 with whirlpool master bath, 4th bedroom has 2 full beds and an adjacent hall bathroom with a shower. Fully equipped kitchen with microwave, dishwasher, icemaker, coffee maker, blender, 4 slice toaster and all utensils and dishes. TV in every bedroom, 32" TV and satellite, DVD player and stereo in livingroom. Beautiful gas fireplace. 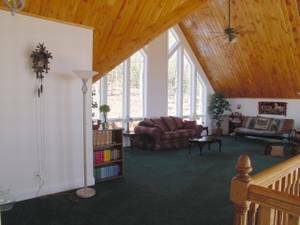 Vaulted wood ceiling and large loft with queen sleeper sofa and full futon. 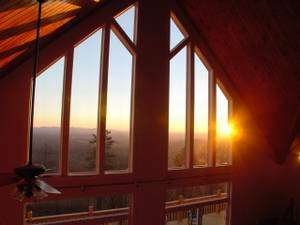 Plenty of windows and large back deck overlook panoramic mountain view. On the deck is a 5-6 person hot tub, barbeque grill, rocking chairs, tables and chairs. 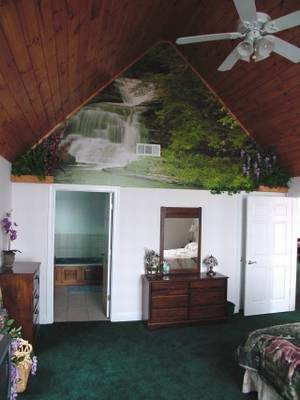 Separate laundry room on main floor. 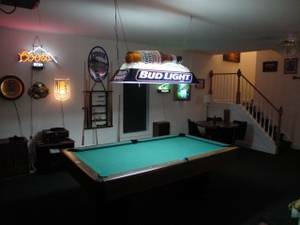 Lower level has a game room complete with pool table, table soccer, air hockey and 12 foot shuffleboard table. The Chalet has free wireless high speed internet. Minutes from Helen on all paved roads with easy access. 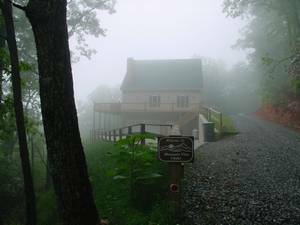 Your perfect mountain vacation home! Oktoberfest, shopping, Bavarian dining in Helen. Plenty of nature parks and waterfalls in area. Visit our website for availability calendar and current specials! Deposit: 50% deposit required at time of booking. Cancellations and Refunds: All bookings subject to $100 nonrefundable cancellation fee. Deposit is refundable up to 30 days before arrival.